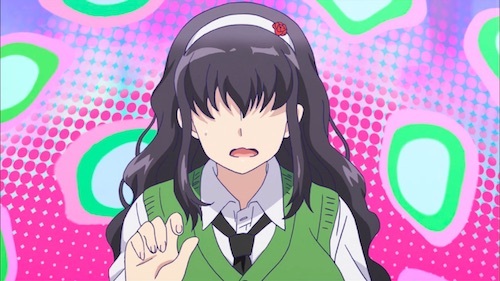 Fujimi is a high school girl who gets nervous speaking in public, even when ordering at a cafe. At one point she spots Galko, a gyaru from another high school, reading one of her favorite manga. Fujimi enjoys seeing Galko react to a BL development in the middle of the manga, but is otherwise daunted by Galko’s fashionable appearance. Outside of being a BL fan and reading a lot of manga, nothing else is known. This entry was posted in anime, fujoshi, fujoshi files, manga and tagged fujimi, oshiete galko-chan, please tell me galko-chan. Bookmark the permalink.